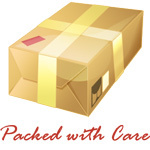 Knowledge Base :: Amber is always in Fashion - Amber Jewelry Store | Online Gateway to Amber Necklaces, Bracelets, Prayer Beads, Baby Teething Necklaces, Pendants, Amber Stones with Insects and Amber Earrings. From jewelry to art, amber will always be in fashion simply because no one can escape the magic of this stone. Baltic amber is ageless, unique and universal. It makes its wearer feel special whenever and wherever it is worn. 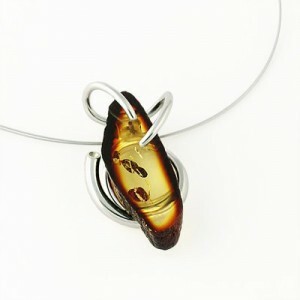 HOSTS of Baltic amber jewelry will make anyone feel great for wearing exceptional, unique necklaces and the much adorned pendants or bracelets. The magic of amber comes in every fashion, style and color combination possible with enviously stunning looks and fashionable settings. Amber will always be in fashion thanks to its allurement and glow. Amber earrings, for example, come in all patterns, colors and styles and are available in awe inspiring designs. Some earring pieces combine amber with turquoise and fantastically polished sterling silver bases. Not only that, but you can also find honey amber earrings and multi-hued Baltic amber gemstones which flatter every woman's beauty. When it comes to Baltic amber there is more to it than meets the eye: not only necklaces, pendants and bracelets, but also alluring and magical brooches which will surely add a touch of style to every outfit. Honey-yellow and multicolored brooches can be found in the shapes of leaves, hearts and butterflies. And most importantly, they can “steal the show” when a woman goes out in public wearing them. They are the best way to capture anyone's attention and receive compliments about your looks and general appearance. Baltic amber looks are sure to last a lifetime. Baltic amber gems do not only cast a spell on men, but allow a woman to go out in the world with that glowing magic, surrounded by world class fashion and style, making her the attraction of the event. Baltic rings also make a worthy gift for your partner or fiance and amber cufflinks add a perfect touch. That kind of style is surely enough to conquer anyone's heart and make their possessor feel proud and special. Some lovers opt for heart-shaped amber rings made with sterling silver as proof of their eternal love. Amber will always be in fashion and generate a life-lasting moment of happiness for those who possess beautiful Baltic amber jewelry.